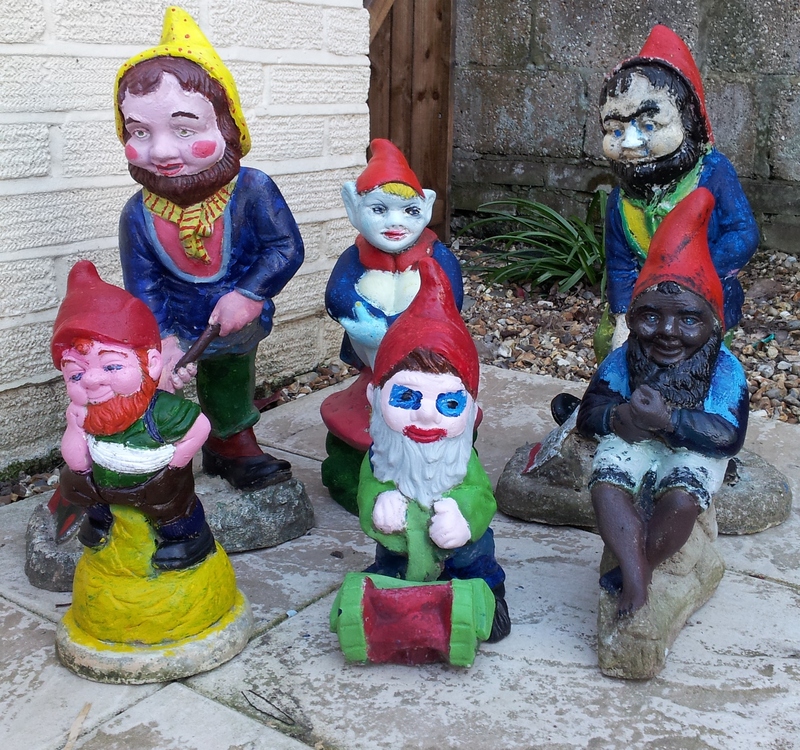 At last the sun has been shining in the South Coast of England and to celebrate my children and their friends have been out in the garden giving the Garden Gnomes a Make Over! Want to see the results of their efforts? I love the sunshine and all the simple things in life – like being able to get my washing out on the line. It just feels so good! 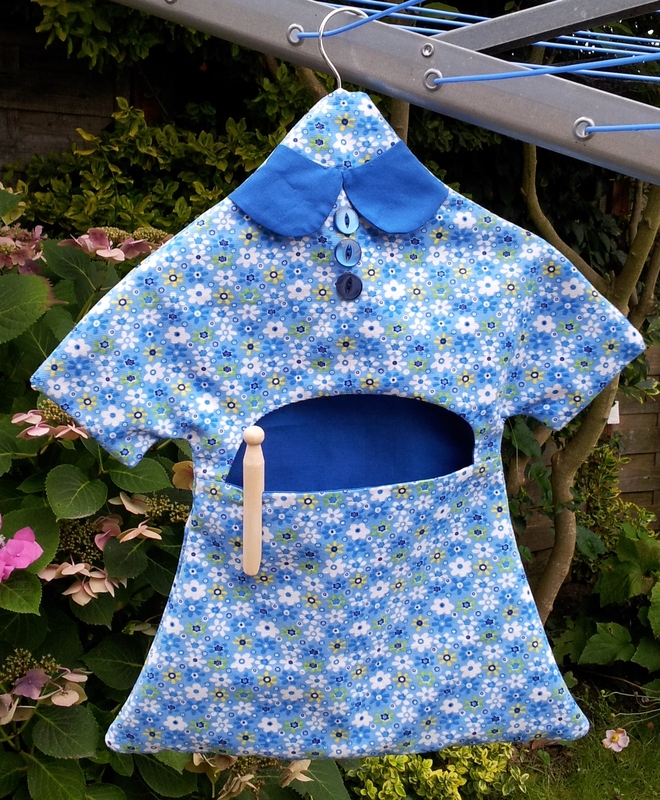 I’ve been making some new peg bags based on this design I posted last year but layered the fabric is a different way to make sure all my seams were hidden. Now you have ‘mastered’ your sewing pattern envelope, you are ready for the things that are inside the envelope – the Pattern and Instructions! 1. The first step is to spread out your instruction sheet and read through all the information. The instructions will contain important details such as cutting layout (ie, where to place your pattern pieces on the material), seam allowance width (mine is 1.5cm) and pattern symbols summaries. 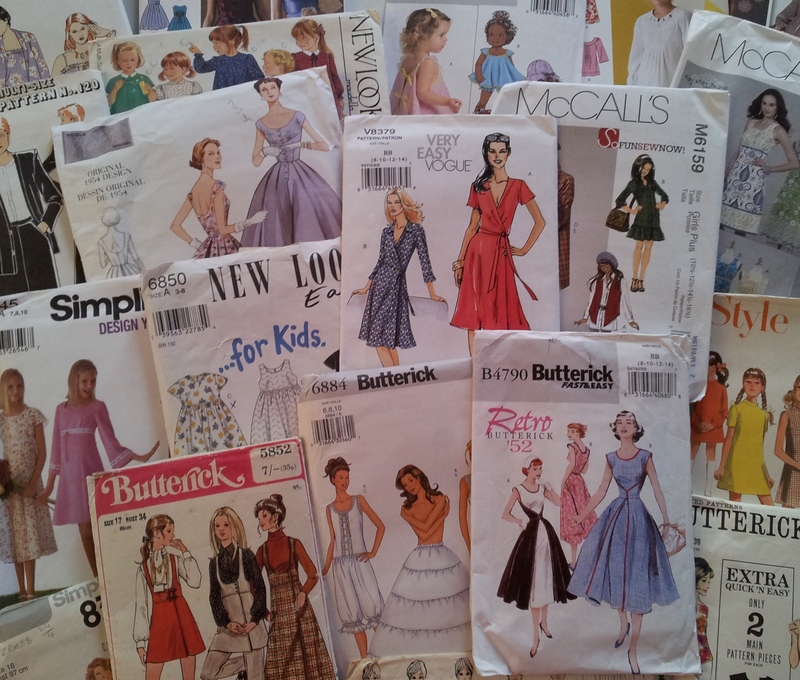 Use the instructions to check which pattern pieces you are going to need for the style you have chosen. Find out what the symbols means if you aren’t sure (this Getting to know your pattern symbols post might help). Before you start laying your pattern pieces onto your material, it is important to make sure you have a straight edge to your fabric. 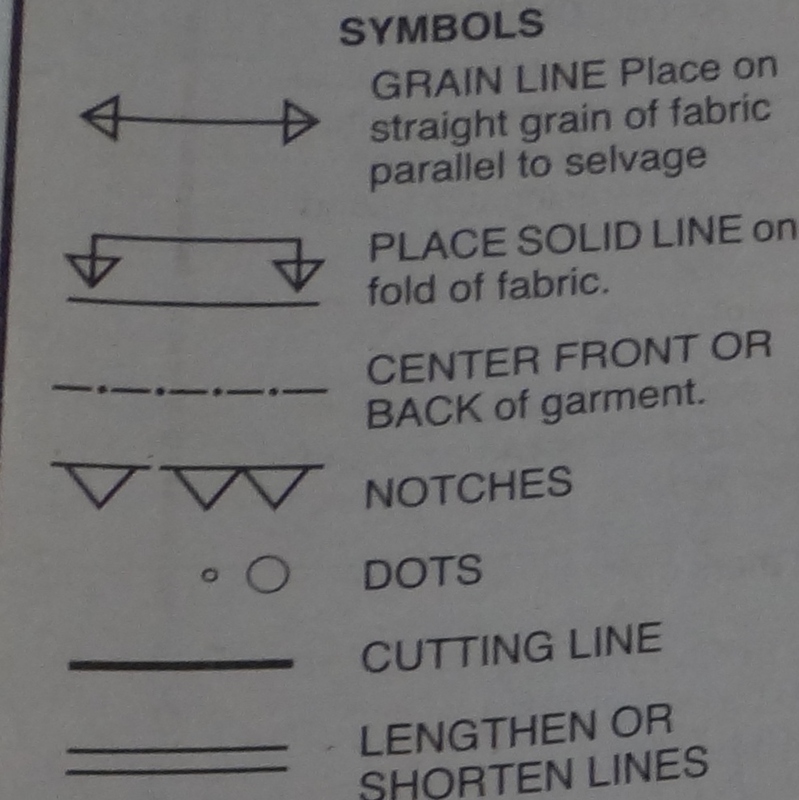 Before you cut out your pieces of fabric it helps to know a little about how your fabric is constructed and what your pattern symbols mean. Here are some of the main symbols you may come across. 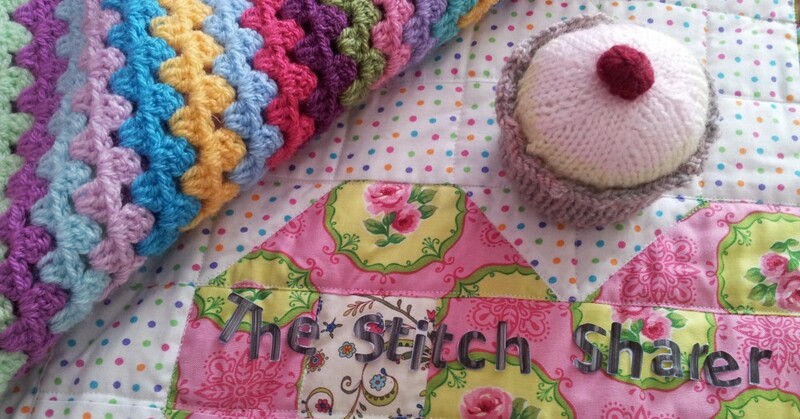 I f you were inspired by last nights ‘Great British Sewing Bee’ or always wanted to make an item of clothing, but weren’t quite sure where to start this post is for you!